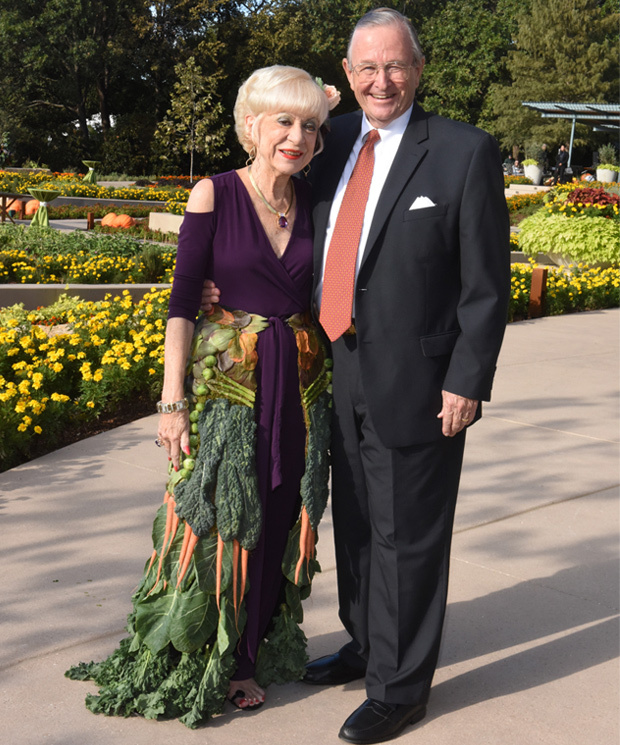 Robert “Bob” Bigham, BBA ’61, and Barbara Bigham, Life Members, were all smiles at the Dallas Arboretum and Botanical Garden. Barbara co-chaired the Tasteful Place Gala, which celebrated the opening of the new $12 million, 3.5-acre vegetable, herb, and fruit garden, which includes a pavilion, teaching kitchen, lagoon, and walkways. The signature potager display gardens, also known as ornamental kitchen gardens, show guests how to grow, harvest, and prepare in-season produce in a healthful manner. The Bighams contributed $1 million to A Tasteful Place, and the Arboretum named one of the areas in their honor, the Barbara and Bob Bigham Scenic Overlook, which overlooks White Rock Lake and the downtown Dallas skyline. Photo courtesy Kristina Bowman Photography.